How Soon After I File For Bankruptcy Can I Rebuild My Credit? Immediately. When you file for a Missouri bankruptcy, one of the nice things that you should be made aware of is the fact that you can begin to rebuild your credit rating and/or score immediately after the case is filed. Depending on how aggressive you are in doing so, regaining the type of score and/or rating you hope for can be done sooner than you may think. The act of filing for bankruptcy is described as a ‘fresh start / clean slate‘. It is a chance to wipe the slate clean, and start over with a second chance. If a St. Louis Chapter 7 bankruptcy is filed, your unsecured debt (like credit cards, medical bills, payday loans, etc.) are discharged immediately. Once this discharge occurs, you can typically expect to see your credit score jump upwards by about 30 points. From that point on, it’s up to you how quickly you want the score to rise. For most people, buying a house at a decent rate can be done within two years of filing a Chapter 7; buying a car at a fair interest level can be done within six month so filing; and getting a new credit card can be done within weeks. When you file a St. Louis Chapter 13 bankruptcy, you are put into a repayment plan. This plan is a schedule of how certain debts will be paid back over a period of three to five years. Each month, you make a fixed payment that covers these debts. The Chapter 13 Trustee then disperses the monies to the creditors that are listed in the plan. So by the time you finish your repayment plan, you will have made between 36 to 60 regular, monthly payments to creditors. This will have the overall effect of dramatically increasing your credit score, such that when you complete the plan, you will be in a fantastic position to make large purchases like a home or new car. In addition, once the repayment plan is complete, all unpaid unsecured debt is discharged (much like in a Chapter 7). This will in turn only improve your score even further. Perhaps the biggest misperception that people have in regards to filing for bankruptcy is that by doing so, it will ruin their credit rating forever. That they will never again be able to make any sort of substantial purchase, or finance any kind of loan in the future. And in actuality, the exact opposite is true: the whole point of filing for bankruptcy is to give you a fresh start. This fresh start comes with the ability to rebuild a good credit rating. Will your credit score be made perfect overnight? No. But most people are enjoying credit scores like they never had before after approximately two years after filing. 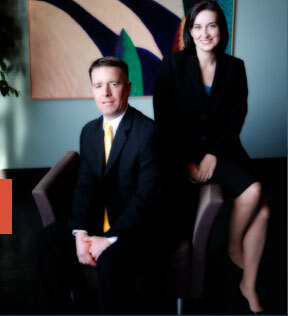 The affordable St. Louis bankruptcy lawyers at Brinkman & Alter, LLC have been practicing bankruptcy law for years. Our goal is to put you on the road towards financial freedom so that you can rebuild as quickly as possible. All phone conversations and office consultations are free of charge.